Spy Vibers, are you redecorating your pad and lair right now? 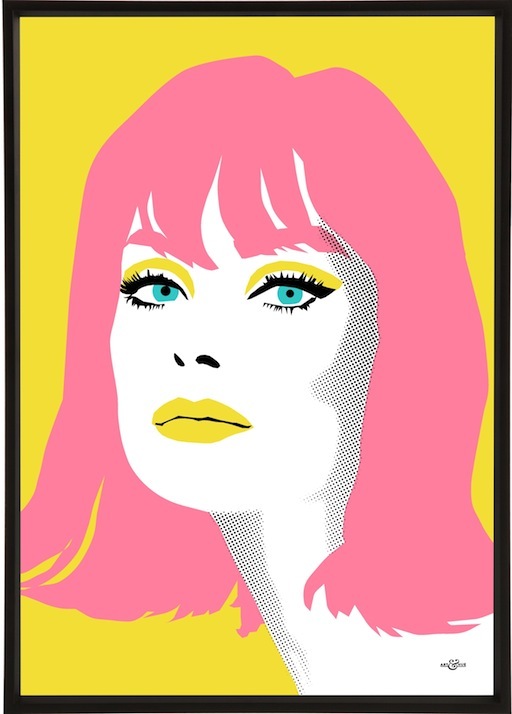 You might want to check out the newest image collection from our friend at Art & Hue. 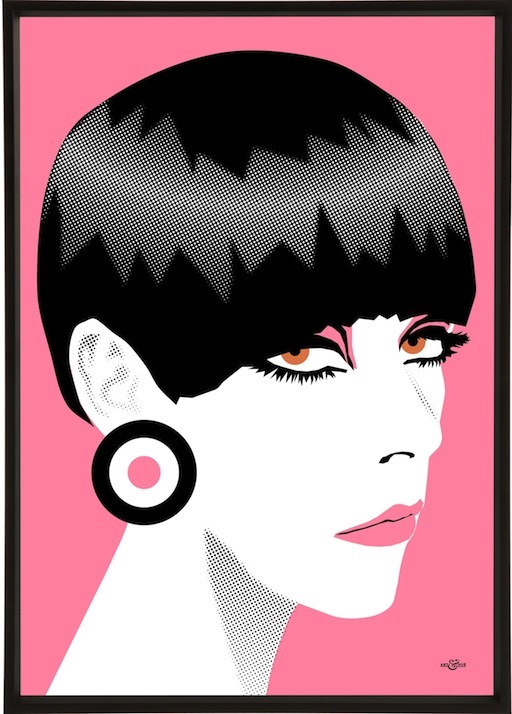 Odysseas Constantine has released nice duotone prints in the past featuring fan-favorites like The Avengers, Hammer Horror, Jet Age airports, Carry On films, Brit Noir, Mod hair styles, and Beat films. 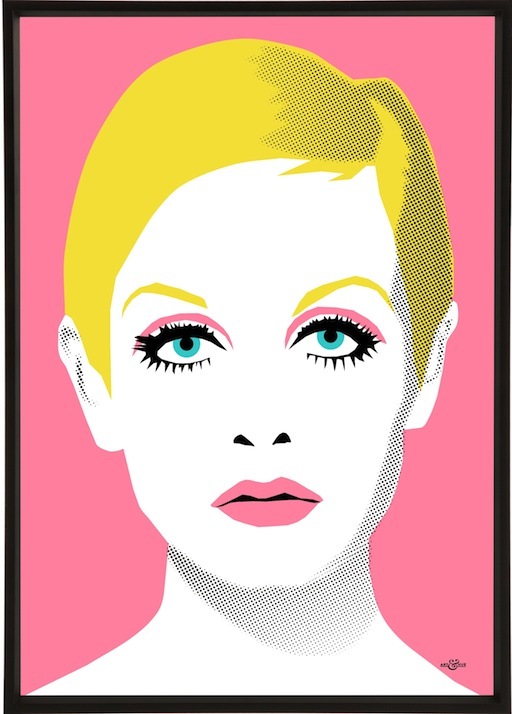 He's now added 1960s Models to the portfolio, which includes iconic figures such as Twiggy, Jean Shrimpton, Veruschka, and Peggy Moffitt. More info here and keep on swinging'! In other news, my next episode on Cocktail Nation is coming up! 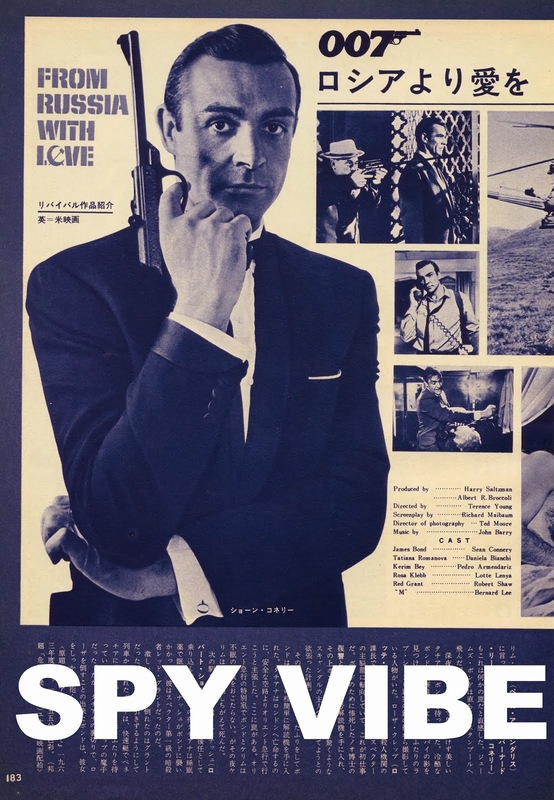 In the meantime, you can hear Episode #1 (Danger Man) and Episode #2 (The 10th Victim), Epsiode #3 (On Her Majesty's Secret Service). In each segment I do a short introduction to a film or TV series and share some classic (often rare) music. Enjoy! 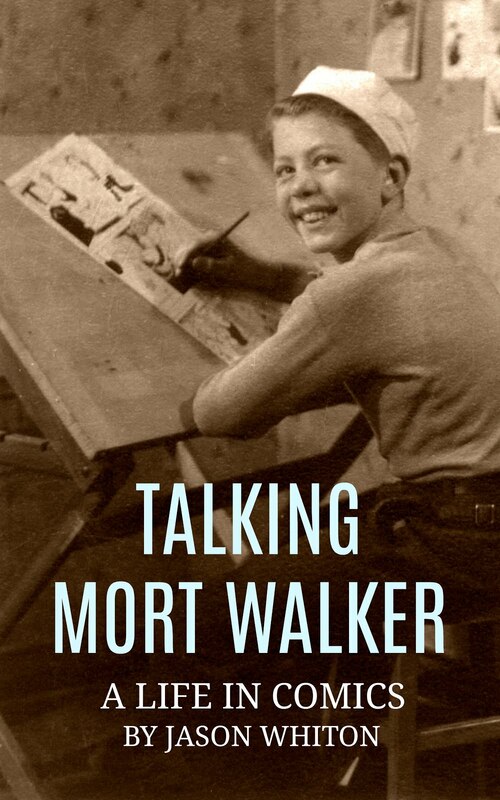 Related posts: Jet Set Prints, Interview: Avengers Pop Art, Thunderbirds Are Pop, New Avengers Pop, Beat Film Pop. 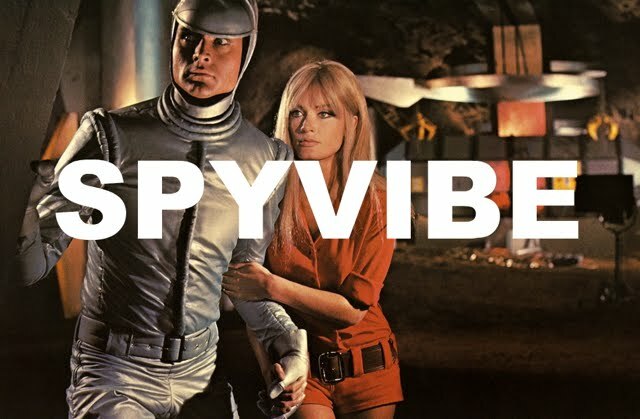 Selected Spy Vibe Posts: Batman Gallants, Adam West R.I.P., Village Triangle, Roger Moore R.I.P., Spy Vibe Radio 3, Sgt Pepper 50th, Satanik Kriminal OST, 60s Overdrive, Make Love in London, Spy Vibe Radio 2, Spy Vibe Radio 1, James Bond Strips, Propaganda Mabuse, Fahrenheit 451 50th, Interview: Police Surgeon, XTC Avengers, 1966 Pep Spies, Batman Book Interview, Exclusive Fleming Interview, Avengers Comic Strips, Robert Vaughn RIP, UNCLE Fashions, Thunderbirds Are Pop!, Interview:Spy Film Guide, Lost Avengers Found, The Callan File, Mission Impossible 50th, Green Hornet 50th, Star Trek 50th, Portmeirion Photography 1, Filming the Prisoner, Gaiman McGinnins Project, Ian Fleming Grave, Revolver at 50, Karen Romanko Interview, Mod Tales 2, Umbrella Man: Patrick Macnee, New Beatles Film, The Curious Camera, Esterel Fashion 1966, Exclusive Ian Ogilvy Interview, 007 Tribute Covers, The Phantom Avon novels return, Ian Fleming Festival, Argoman Design, Sylvia Anderson R.I.P., Ken Adam R.I.P., George Martin R.I.P., The New Avengers Comics, Trina Robbins Interview, The Phantom at 80, 007 Manga, Avengerworld Book, Diana Rigg Auto Show, The Prisoner Audio Drama Review, David McCallum novel, Andre Courreges R.I.P., Who's Talking on Spy Vibe, UFO Blu-ray, Avengers Pop Art.